Twitter users can now stop cramming and start tweeting in 280 characters as the microblogging platform finally lifts its age old 140-character restriction. Twitter has finally started rolling out the new 280-character limit for tweets to all its users on the Twitter app, web interface and Tweetdeck. 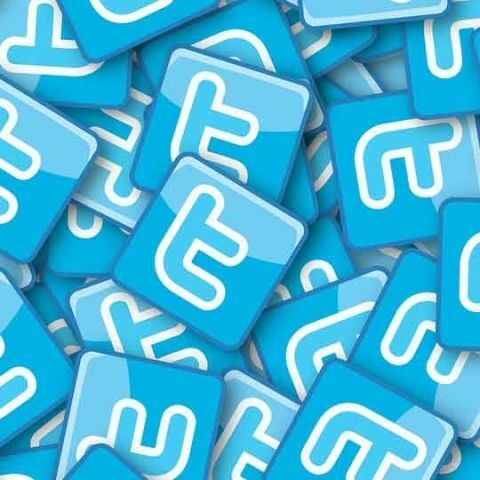 The microblogging platform had started testing the new tweet character limit back in September and has now concluded that people tweeted more easily and more often as a result of the expanded limit. Twitter’s testing also revealed that 9 percent of all tweets made in English language were hitting the 140-character limit, reflecting a challenge to cram thoughts into a single tweet, as well as indicating time wastage in tweaking, editing. With the expanded character limit, Twitter observed a dramatic improvement in data and the new 280-character limit resulted in only 1 percent of all English tweets reaching the limit. 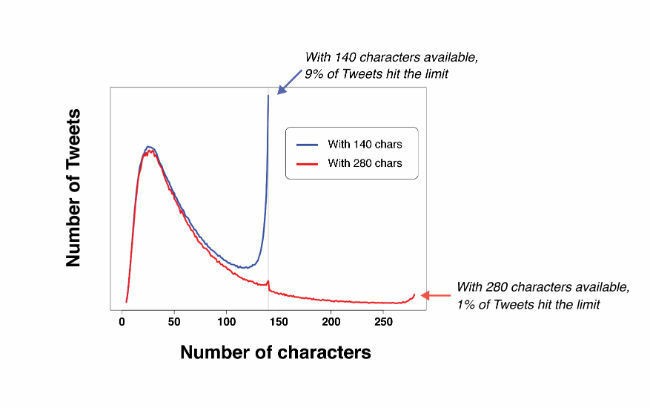 Here’s a graph that represents the change in tweeting behaviour as a result of switching from 140 characters to 280 characters. While Twitter has turned on the 280-character limit for all users, the 140-character restriction will remain in place for Japanese, Korean, and Chinese users as there is rarely any need to cram tweets in these languages. “In fact, these languages have always been able to say more with their Tweets because of the density of their writing systems,” the company wrote in a blog post. Further, Twitter also highlighted that those who tweeted with the expanded limit observed a spike in engagement (Likes, Retweets, @mentions) and got more followers. “People in the experiment told us that a higher character limit made them feel more satisfied with how they expressed themselves on Twitter, their ability to find good content, and Twitter overall,” said Twitter. Twitter’s move to expand the character limits on the platform can be viewed as an attempt to keep users engaged on the platform. The company is increasingly finding ways to retain users and increase participation on the platform. This hike in character limit marks a big step towards achieving that goal. It was recently rumoured that Twitter is testing a new Tweetstorm feature to allow users to chain their Tweets automatically. The company also recently announced a lighter version of its app for emerging markets in collaboration with Google. Twitter Lite is designed to function on slower mobile networks.